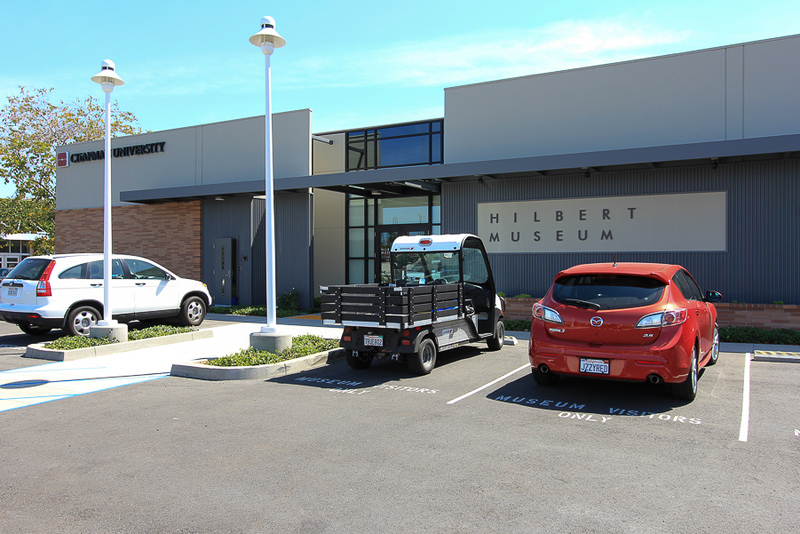 April 20, 2016 - Today we were in Orange, CA to see the new Hilbert Museum of California Art at Chapman University. Thanks to the founders, Mark and Janet Hilbert, the collection includes oils, watercolors, sketches and lithographs of urban and industrial scenes, coastal views, farms, ranches and landscapes in California. “This will be the first museum anywhere that is totally dedicated to the display of California Scene and California representational art,” said Mark Hilbert. California Scene paintings are distinguished from the earlier style of California Impressionism because these works show people and the works of humans: towns, cities, harbors, houses, ranches, cars, trains, and people going about their everyday lives. Judy and I were astounded by the quality of this collection. Unfortunately photography wasn't allowed, but I was able to find some of the 200 paintings we saw today by searching the Internet. 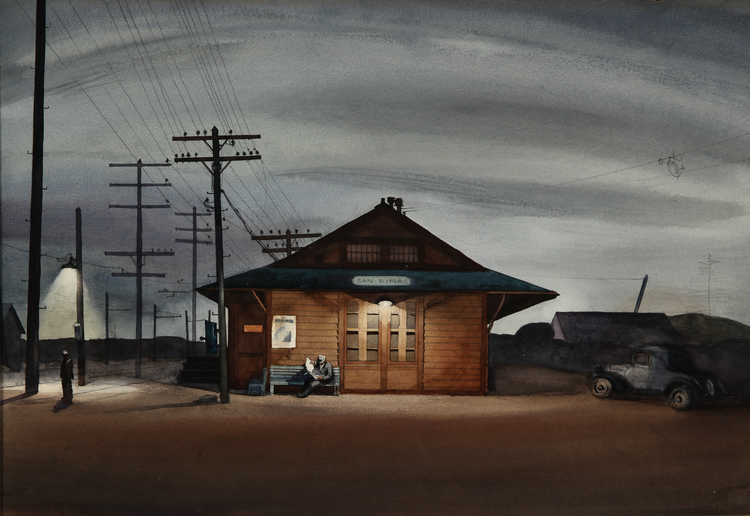 This painting by Millard Sheets is called "San Dimas Train Station" and was done in 1933. Most all of the paintings we saw were watercolors since most were painted during the Depression and watercolors were more affordable than oils. 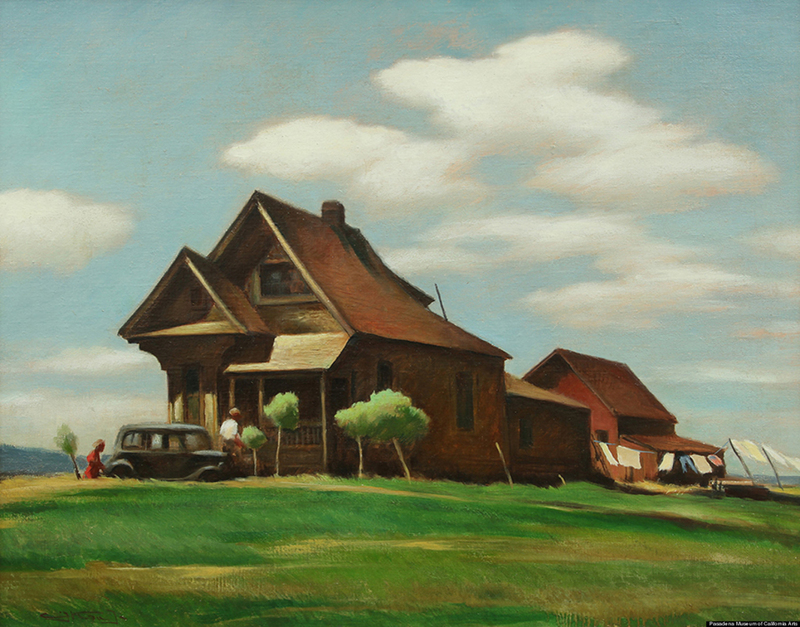 This one is by Emil Kosa, Jr. and is called "Near Modesto" (1940). 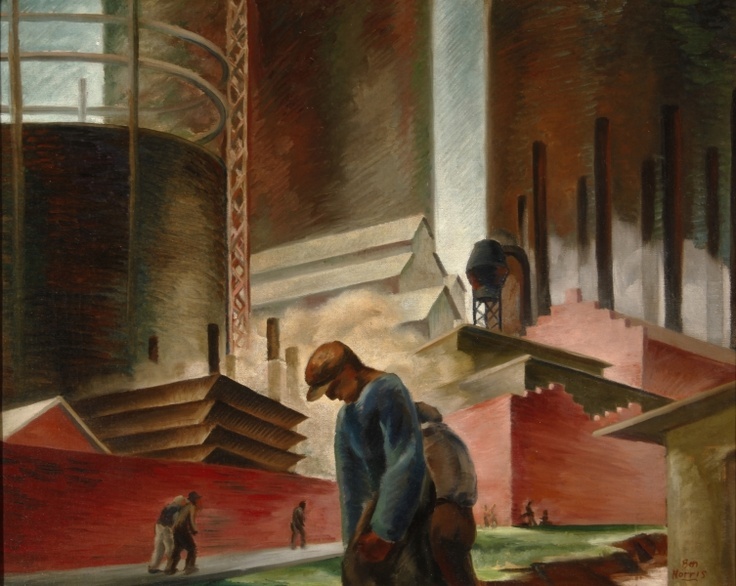 This painting by Ben Norris is called "Discouraged Workers" (1936). 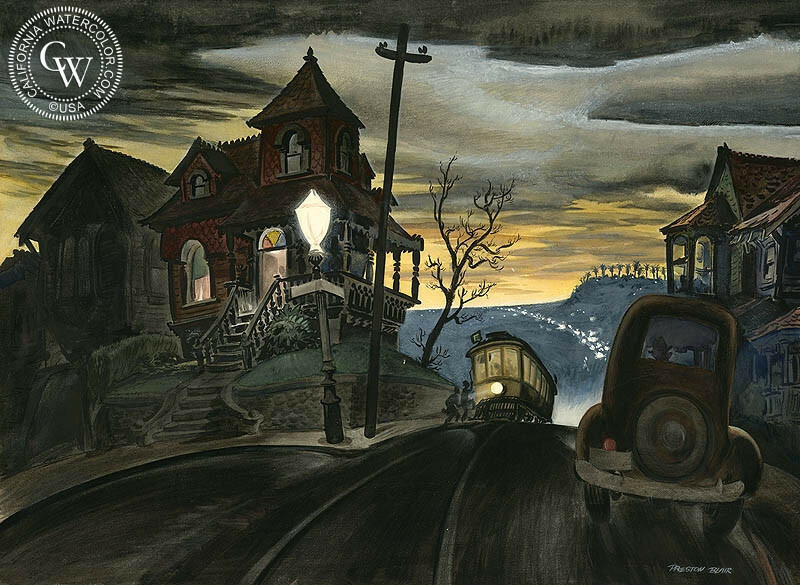 This painting by Preston Blair is called "Bunker Hill" (1938). 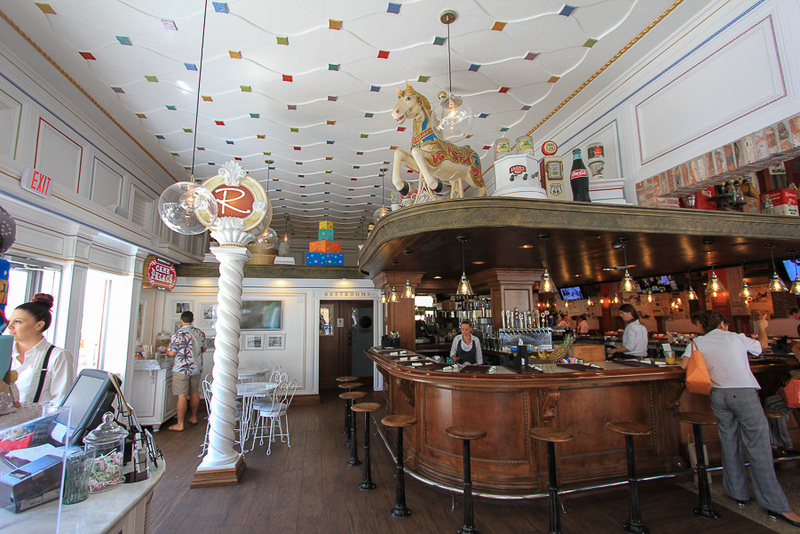 Most of these artists had day jobs in the film industry but, they exhibited their personal works in galleries for extra money. It should come as no surprise that Preston Blair worked for Disney. 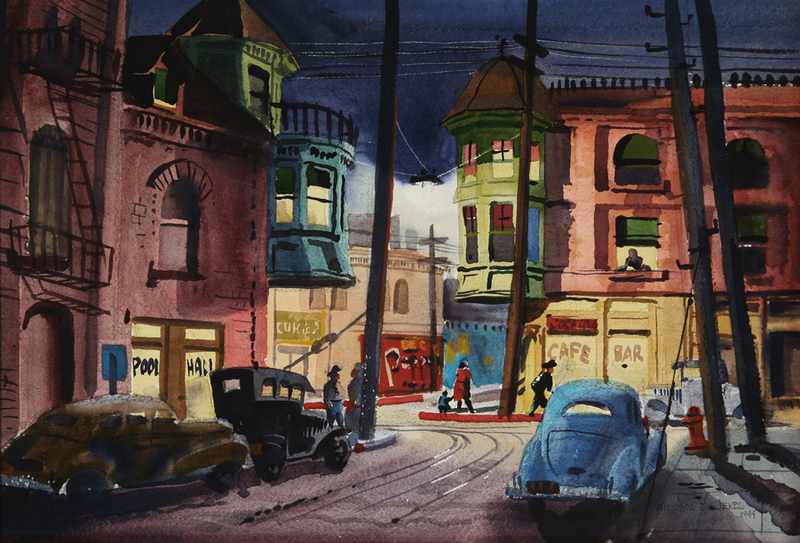 This final picture taken from the Internet is by William Jekel and is called "San Pedro Street, Night" (1944). Before the museum we stopped at Watson's Drugstore for lunch. 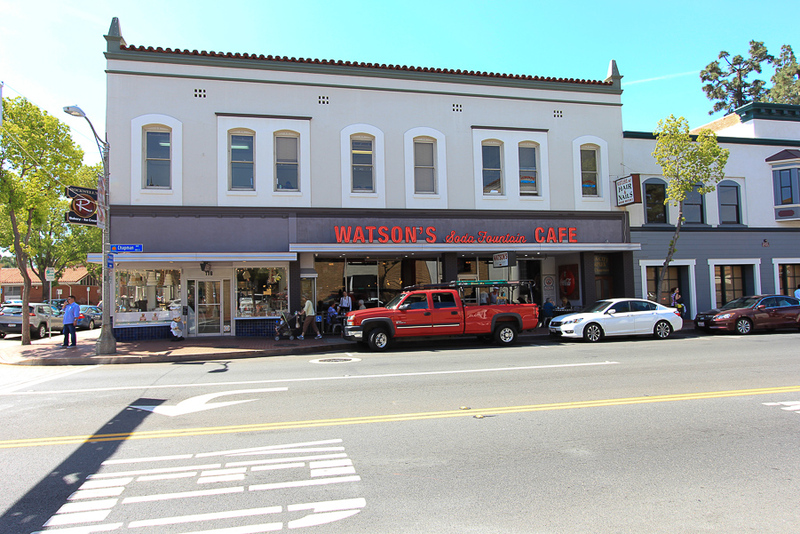 After its big remodel of 2015, Watson's is now called Watson's Soda Fountain & Cafe, although they still have a pharmacy here. 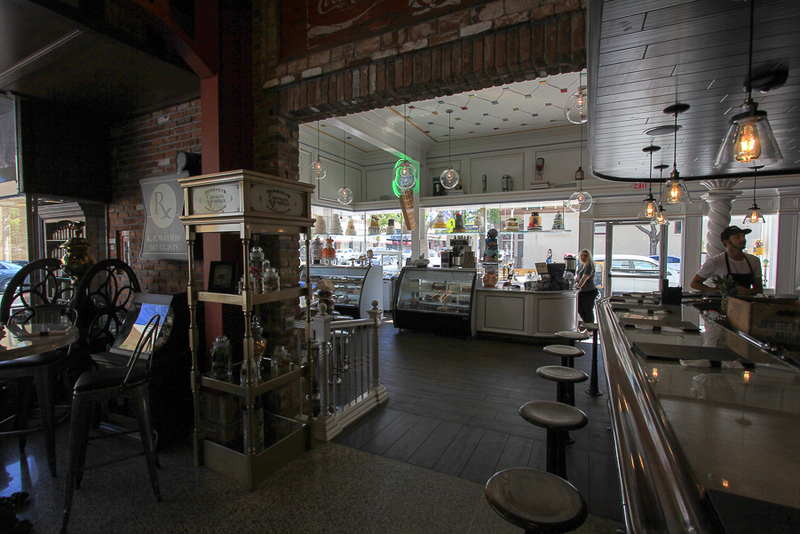 It is a very busy place. 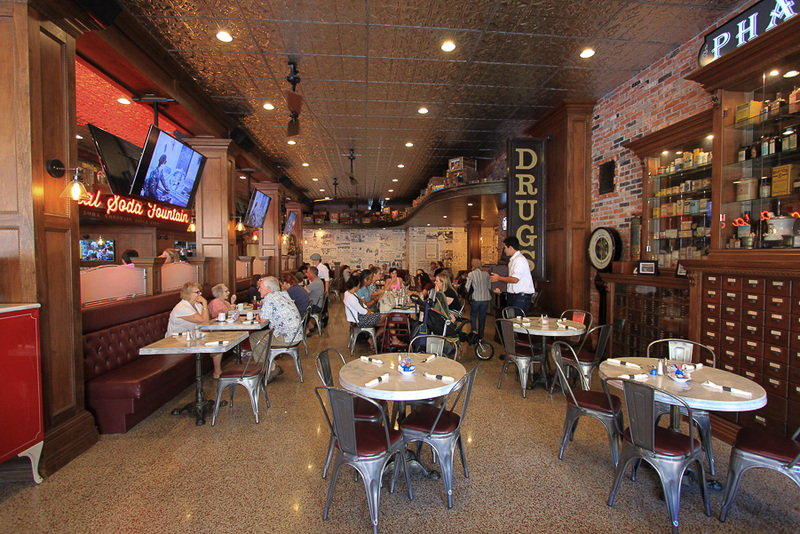 We both had their "Miracle Cure" eggs benedict that was delicious and very big! Each portion was two halves of an English muffin thickly covered with ham and eggs. The hollandaise sauce was excellent and the side orders of grilled asparagus and country potatoes made it a feast. 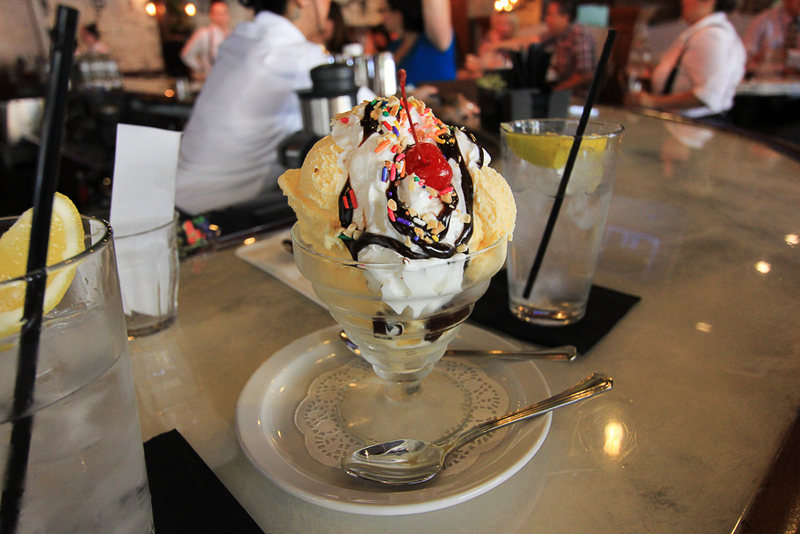 Everything was so good that we came back after the museum and split one of their classic hot fudge sundaes. Yum!